Congratulations to all of the winners, especially my crafty friend Tenia! Your work rocks girl!!! 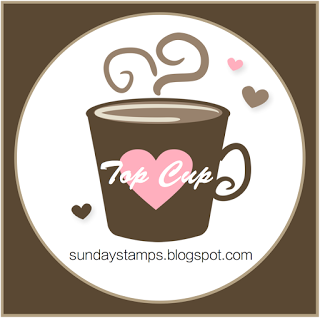 I am thrilled to be among the Top Cups! Thanks for this honor. Congrats to all the winners. Danke schön. Thank You for Your choice. And happy crafting for the team. Thank you Lisa! Congrats to all the winners!